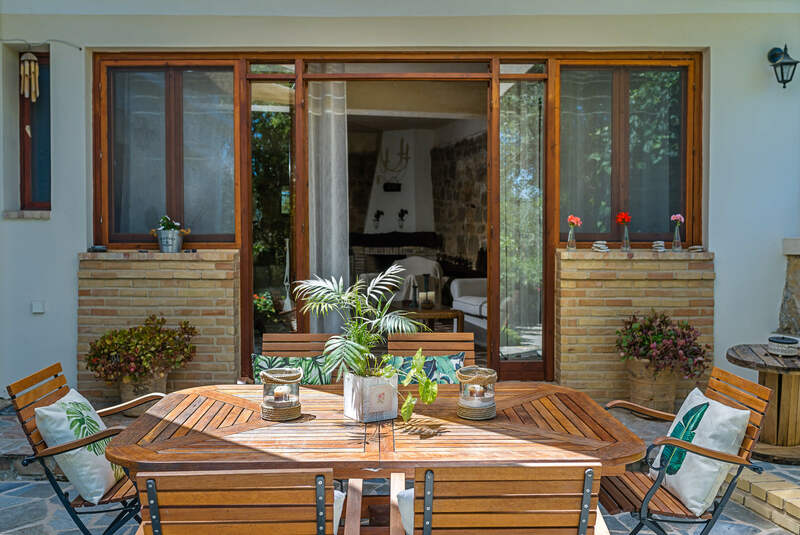 Opening the balcony doors of the living room you will face a wonderful stone built private patio which leads to a lovely and romantic garden. 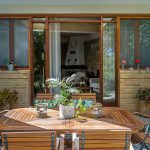 You can sit at the large wooden table which is perfect for drinking your morning coffee or having a nice lunch. 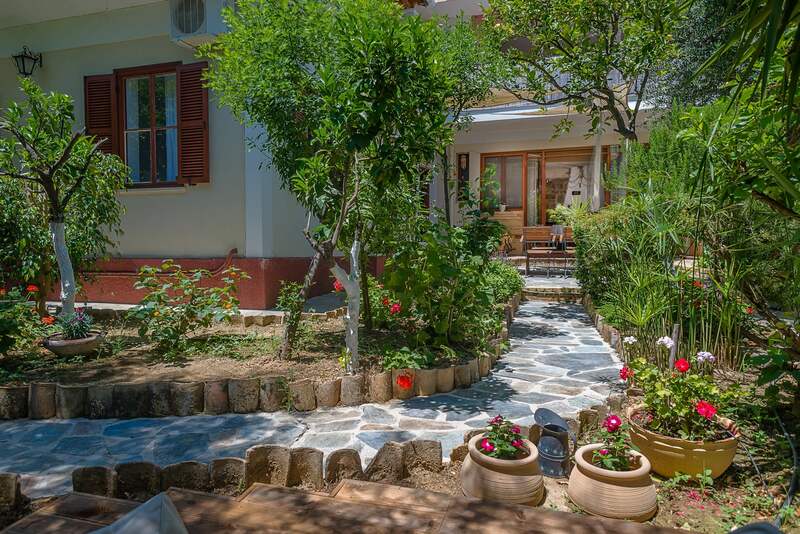 After a long day at the beautiful beaches of the island you can return to your private villa and wash off the salty water of the sea by taking a refreshing outdoor shower. 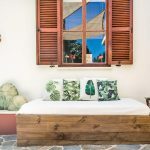 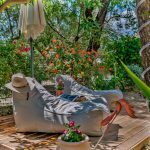 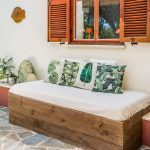 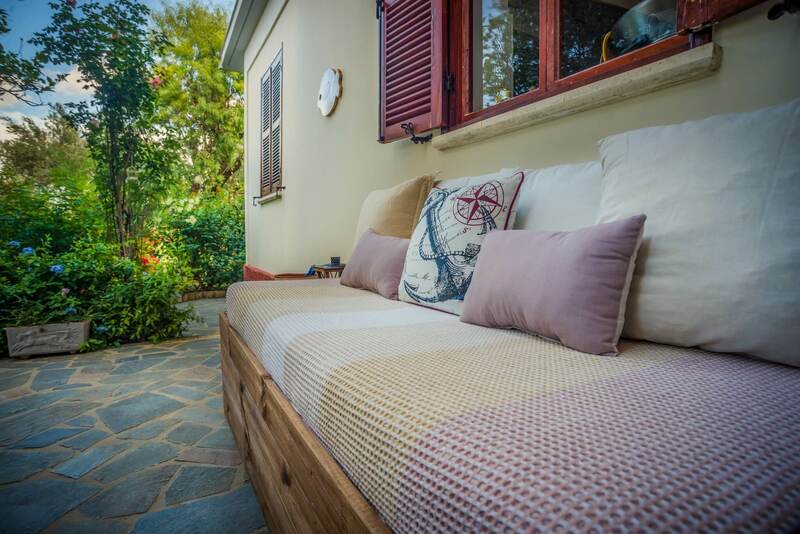 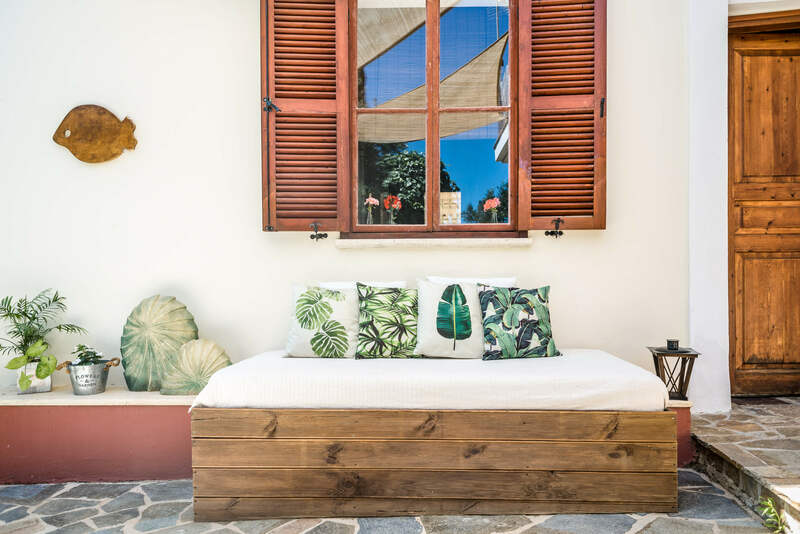 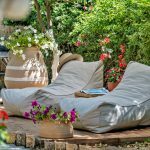 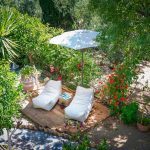 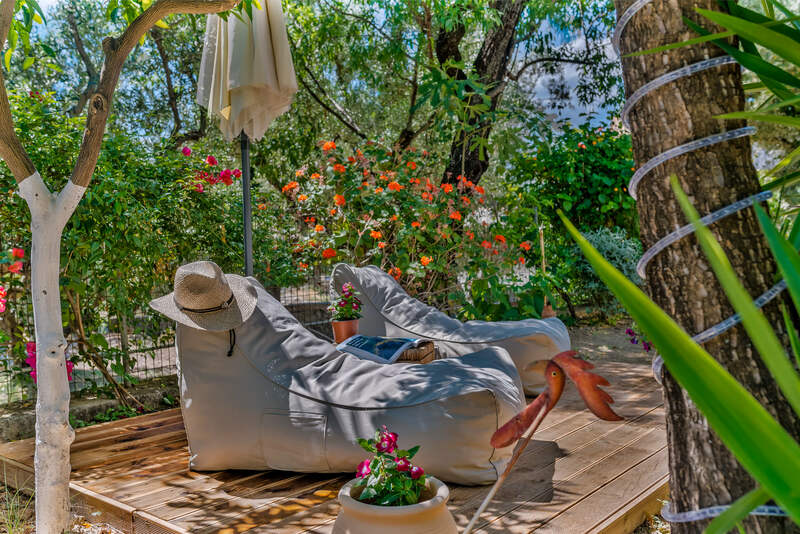 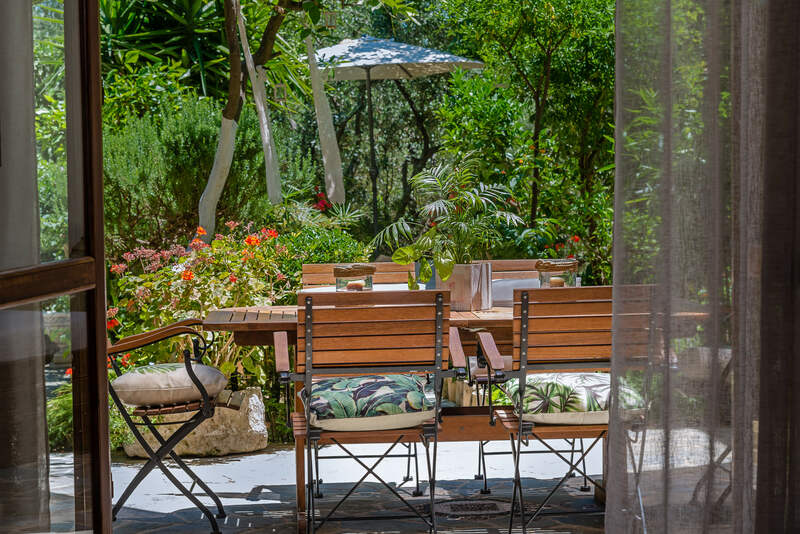 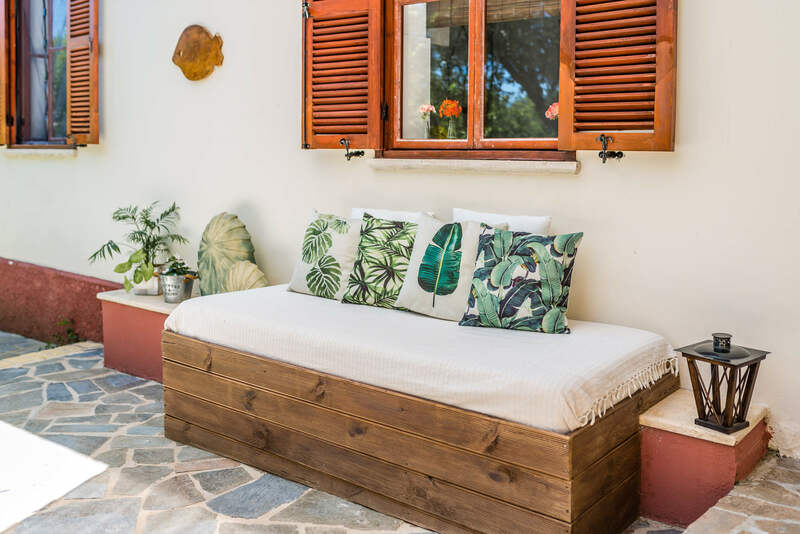 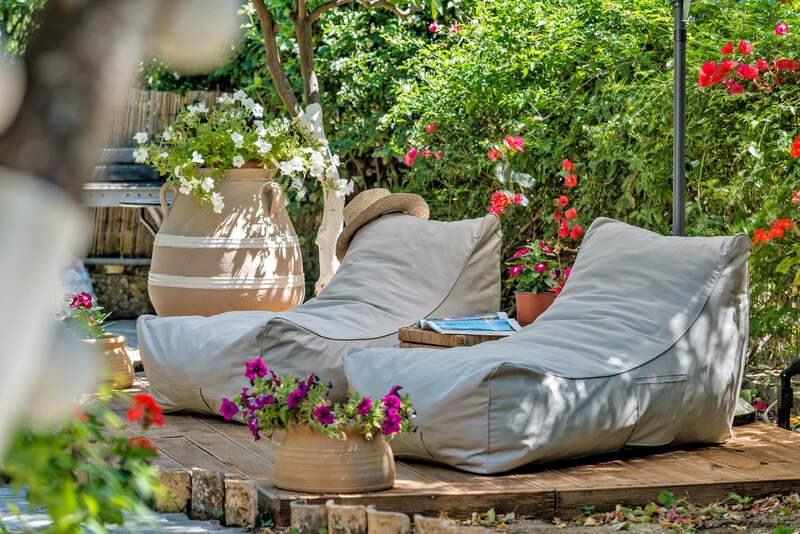 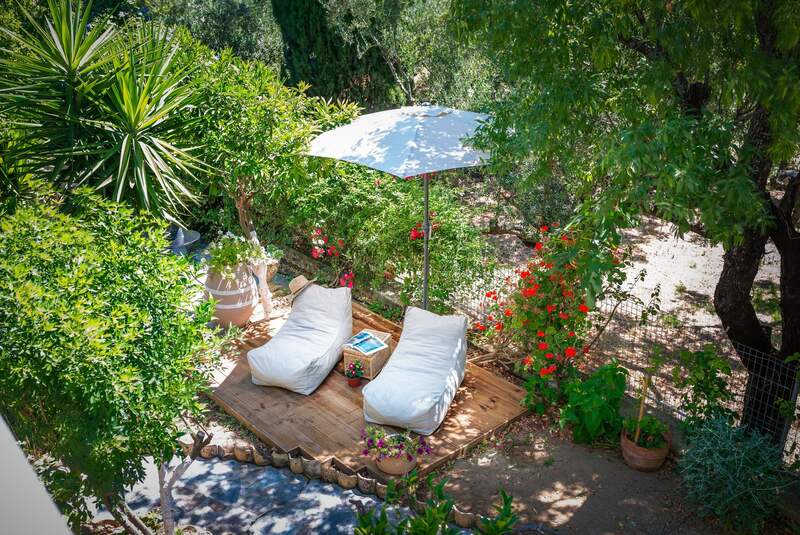 Don’t miss the opportunity to enjoy a relaxing nap at the outdoor sofa bed, simply by listening to the sounds of nature, or read a book among the trees and the blooming summer flowers. 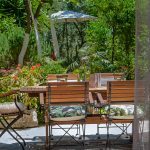 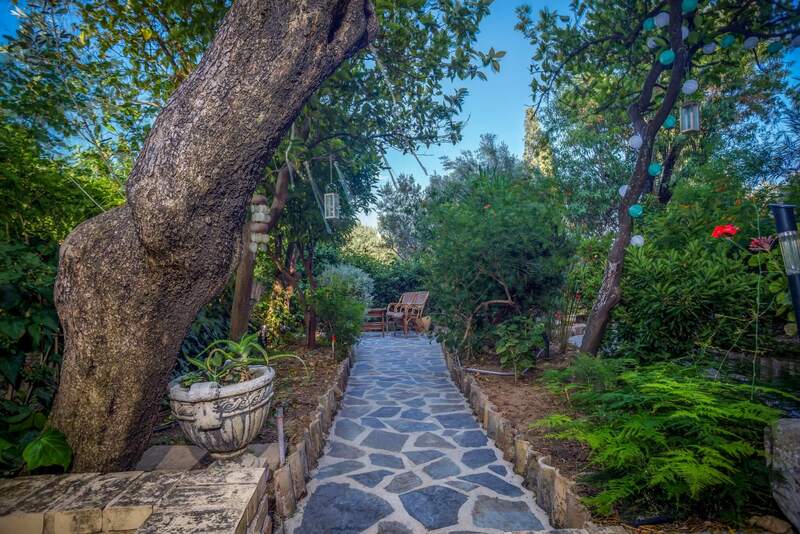 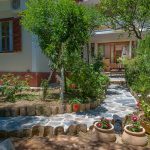 Take some time to explore our garden and get to know a little bit better the plants and the herbs that we grow or even add them in your cooking. 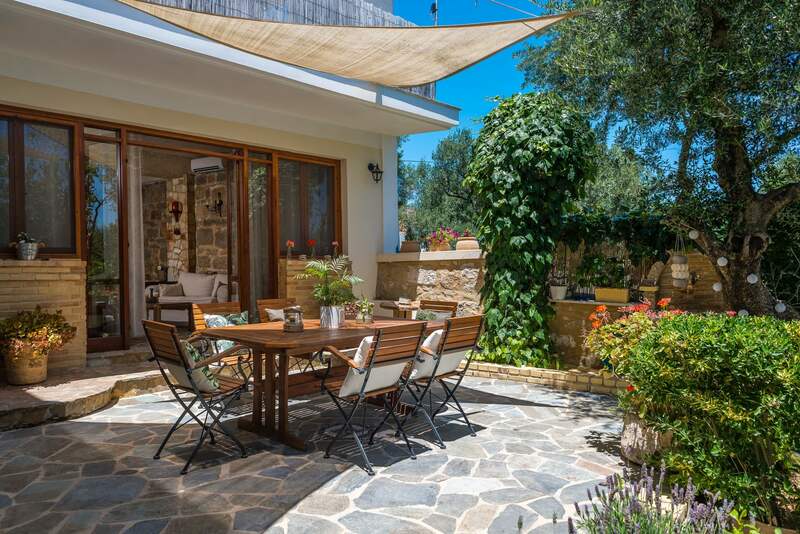 Speaking of cooking you can also prepare your own meal in the open air at the mini BBQ area which is right at the end of the patio. 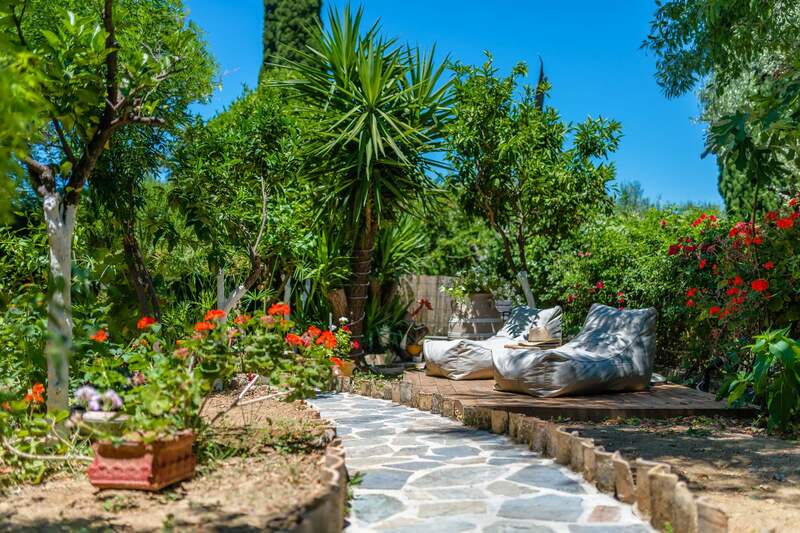 Give yourself the chance to take some real time off, far away from the city sounds and relax, feeling the peace and joy that the rural life and nature can generously offer.